The Amish Are a Cult: True or False? The Amish are Christians and do not fit the modern, generally accepted criteria for what constitutes a cult. They may be confused as one because they follow a very restrictive set of rules and face excommunication (shunning) for certain infractions of those rules. However, unlike a cult, the Amish religion is not centered on a single human authority, they do not require their members to pool their finances, and the tenets of their faith are compatible with most major Protestant denominations. Thus, they are not a cult but simply an ultraconservative Christian faith culture. Jesus came to earth as God in the flesh, died, and rose again. Salvation comes through grace by faith. Scripture is the divinely inspired word of God. As foreign as many Amish practices are to most people, their faith culture is a Christian one. The Amish are not a cult, they do not try to earn grace by their lifestyle, and they do believe in salvation. Feeling that it would be prideful to claim an assurance of that salvation, however, most Amish districts prefer that their members maintain what they call a “living hope” or a “continued effort” on the topic, trusting the ultimate fate of their soul to God’s providence rather than claiming it with certainty. With no central religious authority, each Amish district must make decisions about what is and isn’t allowed for its members on matters both large and small. Consequently, what may be perfectly permissible in one Amish district can be utterly forbidden in another. Outsiders might consider all Amish to be conservative, but that conservatism covers a wide range. This answer has been provided as an excerpt from the upcoming book, Plain Answers About the Amish Life by Mindy Starns Clark. Learn more below. 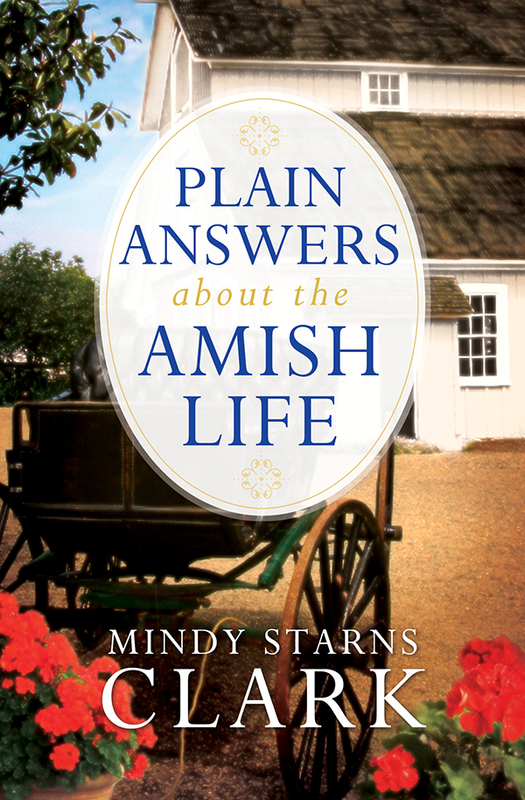 For Amish fiction readers, young and old alike, Plain Answers About the Amish Life provides a glimpse into an obscure, fascinating world—what the Amish believe and how they live. I loved this article. I dont believe they are a cult but rather a culture. They never recruit anyone from the outside and dont force their ways on those not in their culture.I find it kind of strange that they dont share the gospel as other denominations are prone to do.Go ye into all the world and preach the gospel is one thing i notice lacking in this faith.I so enjoy the peacefulness of their lifestyle and also they are awesome craftsmen and women.Looking forward to Mindys book coming out. They do share the gospel….in their own way. They believe in acts, not words. Words can be cheap, actions shout the truth. They are not perfect. They don’t claim to be. They share when and what they feel they are comfortable with and what the district rules allow. I really miss those that I lived around. Now that I am in Texas, there is only one area that holds Amish and they are around the Houston area. I hope that this clears it up a bit. Have a wonderful day! I don’t feel the Amish are a cult,however; they do go to the extreme on some issues. ESP issues re: the rule of the Bishop . I have great respect for the Amish and how they choose to live however there is one facet of their culture that (I believe) goes against the teachings of Jesus and that is shunning. Jesus was all about love and drawing others to Him. Shunning does not exhibit love. For them to say shunning is their way to show their loved ones where they have done wrong and to push them back to the Amish lifestyle is manipulative behavior. I can understand why they would want their loved ones to stay or return to their lifestyle but just because some in their families choose other lifestyle paths is no reason to cut off all contact. Just my humble 2 cents worth. I agree with you on this topic Kathy. My fiance was Amish up until 3 yrs ago at the age of 34. We recently had to go to his fathers’ funeral among the Amish, It was a very difficult time, all the amish stared at us like we were some sort of evil. Only 1 of his 8 or 9 brothers and sisters would talk to him. Shunning is not the answer, your family should mean everything, but I think that his family is AFRAID of the bishop and the church. The Bishop isn’t God. I just wish there was a way for the amish people to see that. My finace says I am way better of a man than I was when I was amish. I have nothing to hide from anyone, unlike many of them, that are carrying a cell phone in their pocket, or whatever else they are trying to keep hidden from the church. I just hope some day things will be different and his family will see it. I believe they are a cult. They are a exclusionary religion. Where are people of all races, tribes and nations that the bible teacches will inhabit heaven? We are to spread the gospel, not keep it to ourselves. The jews did it and locked themselves out of kingdom for holding onto their traditions rather than Christ. they are a cult under the guidelines prescribed. one day they will understand how far off the mark they were. but until then they do have some good side to them as well ie: family,,work ethic, ect. According to the definition of a cult, the Amish ARE a cult. Mainly because of the man made rules not biblical, and following of their “one bishop” who calls all the shots according to his pleasing. Each Amish sect is it’s own cult lead by a elected Bishop that is supposedly randomly ( “in faith”) selected by God. Over all Amish widely fits under the definition of a cult. When a group believes that they alone are the true church, and their members alone are the true Christians, that should raise a red flag. Their desire to separate from “the world” is commendable, but their practice of separating even from the other believers and followers of Jesus Christ who live near them as neighbors is another thing. The other big problem is the utter lack of concern for evangelism and missions among most Amish groups (there are a couple of non-Old Order exceptions). Jesus made it very clear that this IS God’s priority, the main reason we Christians are still here and why Jesus hasn’t returned yet. It is fine to desire to not be OF the world, but when you go so far as to try to not be IN the world, then you end up being of no earthly good to Jesus, and that’s not right. Although I have no reason at all to “bash” the Amish. I do not believe they are anymore saved than the next person. I prefer to base all things around Jesus Christ and all His teachings. And as ironic as it seems, they do not follow the teachings of Jesus. They follow the dictatorship of the Amish church. Which of course is based on Lutheranism. And that is what the Amish are founded upon. Remember all the cases of Jesus stepping out of the norms and doing things that were considered wrong or forbidden by tradition? Washing the feet. Eating with the poor. And so on. He taught us that there should be absolutely no segregation between groups. And if there is, that is a sign of straying off the intended path. it’s not truly Christian at all. The Amish are forbidden to consort with those who aren’t like them. They are severely limited by the church. And the church restricts them to only knowing what the church teaches and not what the scriptures teach at a personal level. Its the number one reason why millions have left the Amish to follow the Jesus Christ. Now that last statement implies that the Amish do not follow Jesus Christ. It is because they DO NOT. They follow father church. They are based on laws. But there are no laws at all that can bring anyone to salvation. The Amish fullfill the checklist of a cult. Even though their cult is based on many moral principles that are accepted as so. But they are still a cult. Because they follow a flawed ideology that separates them from others. And this is exactly the same as all other cults. Jesus Christ liberated all people from those things to bring them out of the world. The Amish are worldly in their own sub-culture. After 15 years of theological study of Christianity and other world religions and 10 years of having amish in-laws – I would highly (but respectfully) disagree with this authors view. Countless times I have seen firsthand Grace replaced by works. The workings of this religious SYSTEM are no different than other cults I have studied. The tenants may be the same(debatable) – but their dealings with their own and outsiders are a far cry of any true protestant belief of the instuctions given in the new testament. By no means does religion replace relationships – that’s not Gods best. If Jakob Ammann could see today – I believe he would weep. If you are a Christian you will not be allowed to participate in any communion of theirs, a sure sign they believe in more than one baptism of a spirit other than that of Christ.